The Sharp LC-40LE831 is part of the brand's second generation of Quad-pixel Quattron LCD TVs, along with the Sharp LC-37LE320, once again adding a yellow pixel to the traditional RGB colour gamut but how does it fare against the best TVs on the market? The LC-40LE831 is a Smart TV, connecting to the brand's Aquos NET portal. Content here is notable principally because there's no iPlayer; hopefully this will be sorted with a firmware update in due course. But you do get YouTube, BoxOffice 365, iConcert, Daily Motion, Cinetrailers and Hit Entertainment. Movie streaming is slick from USB, with compatibility for AVI, MKV, MOV and MP4 files. Across a network it gets a little more slippery, with MKV support falling over. Ultra-slim but not generic, this LED edge-lit flattie certainly has character. We also love its razor-sharp user interface, which frames the edge of a minimised TV window and looks a little like an inverse version of Sony's new TVGUI. The little animated flourishes are particularly cool. The LC-40LE831 is a 3D-ready Freeview HD screen with a 1920 x 1080 quad pixel panel. Ports include four HDMI inputs, component, Scart, phono AV, PC, Ethernet, three USBs, a CI slot and SD card reader and a digital audio output. No 3D glasses are supplied with the set, they're an optional extra. The 3D pictures on this second generation Quattron look significantly better than its predecessor. 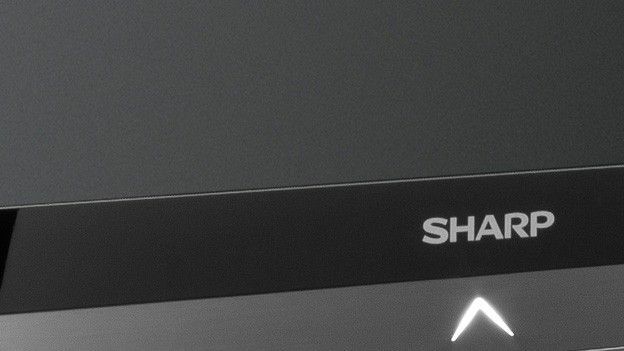 Sharp is backing Active Shutter technology, as used on the Samsung UE37D650 and the Pansonic Viera TX-P50VT30, making the picture bright and fun. We did spot irritating crosstalk effects on some test sequences but there's none of the murk sometimes associated with cleaner looking plasma screens, such as the Panasonic P50VT30. 2D HD benefits from an extensive array of image controls, including individual backlight scanning and Film Mode judder adjustments. With 2D HD, that extra pixel adds additional lushness to images; reds and greens in particular have a wonderful richness. Rumours persist that Sharp is courting Apple to be the prime supplier of panels for its TV debut. Does this screen give us the first idea of what an Apple TV might actually perform like? We don't think Sharp's engineers got adequate kudos for creating Quattron quad-pixel tech in the first place; it was a remarkably inventive bit of engineering. Now with this TV they've pushed the concept forward yet again. Well worth hunting down for an audition.